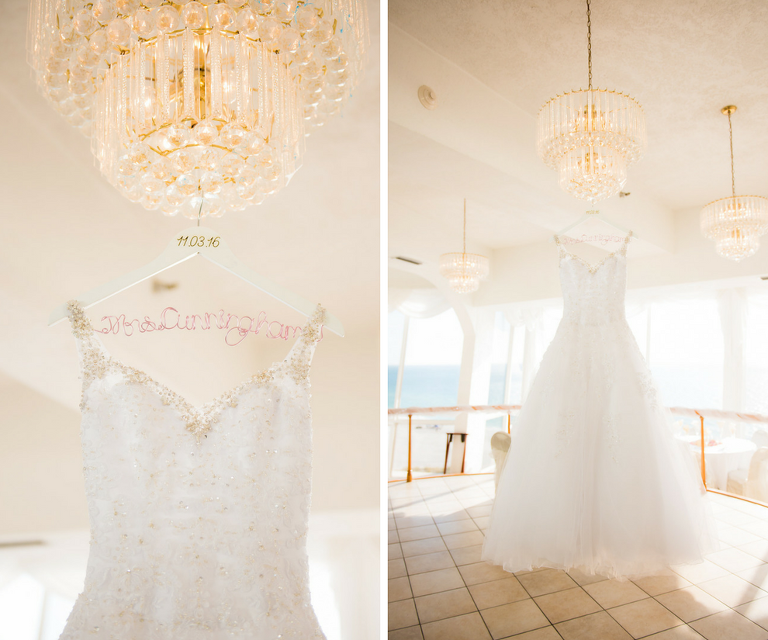 Kelli and Jordan’s St. Pete Beach wedding featured an elegant pastel pink and gold color palette to complement the vibrant backdrop of the Gulf of Mexico. The New England couple hosted a destination Florida wedding, as they first met in the Sunshine State years ago while on vacation. “I was looking online at different wedding venues and instantly fell in love with the St. Petersburg area. The water is so blue and the beaches were perfect!” the bride gushed. To create a glamorous, beach-y wedding day look, the bride turned to Tampa Bay wedding hair and makeup team Michele Renee The Studio. 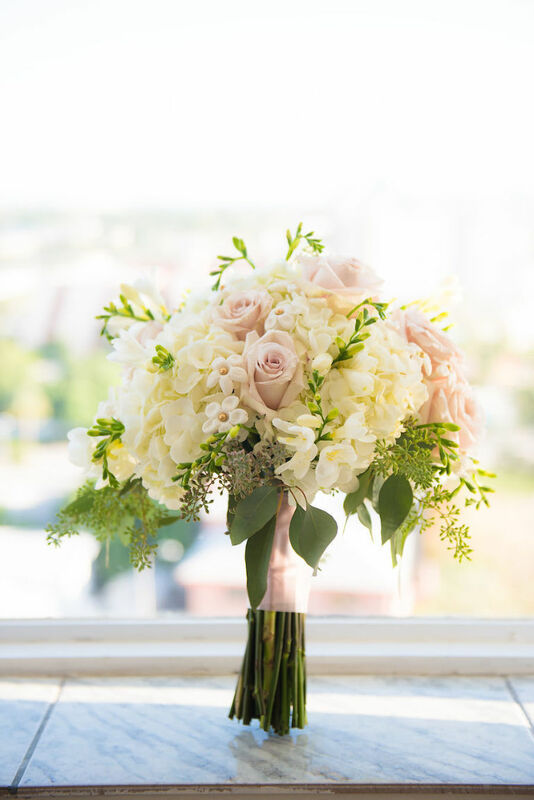 To capture the details of their special day the couple hired St. Petersburg wedding photographer, Kera Photography. 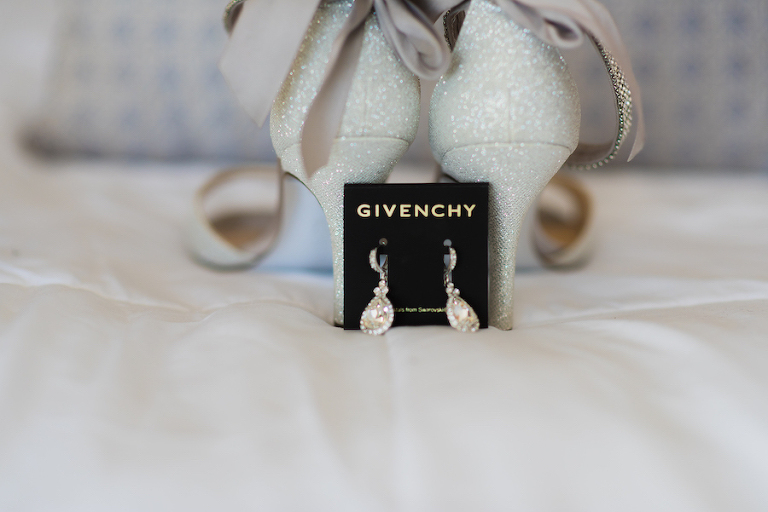 Looking back, one of the bride’s most cherished memories came when she set her sights on her groom during the wedding ceremony. “The most memorable moment for me was when I was walking down the aisle looking at my husband-to-be. It all just seemed so surreal,” Kelli reminisced. I looked through magazines and used pictures of other beach weddings on Pinterest for inspiration. The pictures in Michele Renee The Studio’s portfolio were very beautiful. I felt confident that they would be able to style my hair the way I wanted. My stylist did a great job! I was very pleased with their service. Soft and elegant, with just a bit of sparkle. I wanted it to feel romantic, yet glamorous. Pink, blush, and gold. I loved how they looked together. Jordan proposed at Deerfield Beach in Fort Lauderdale. He chose this location because it is where we met five years ago while we both were on vacation. He took me to a romantic dinner with a view of the ocean. After dinner, we went for a walk, and then proposed right on the beach. There was a photographer waiting and captured the entire scene. It was very romantic. I had a very specific style in my head of what I wanted. As soon as I saw Kera’s work [of Kera Photography], I knew she was exactly what I was looking for. When I met with her to talk about what I was envisioning, she made me feel very confident that she could capture everything I wanted. She captured the small details and gorgeous backset of the ocean in the exact way I wanted them to be. I couldn’t be happier with her professional service. Also, being from out of state I had to do most of the paperwork through emails. Her contracts and billing online was very user friendly. It was the easiest and most proficient services I worked with during my wedding planning experience. I highly recommend Kera Photography!